“Dessins” is the French word for “Drawings”. As the title implies, Dessins doesn’t really follow a dramatic arc: it alludes to many, yet never lingers on any. 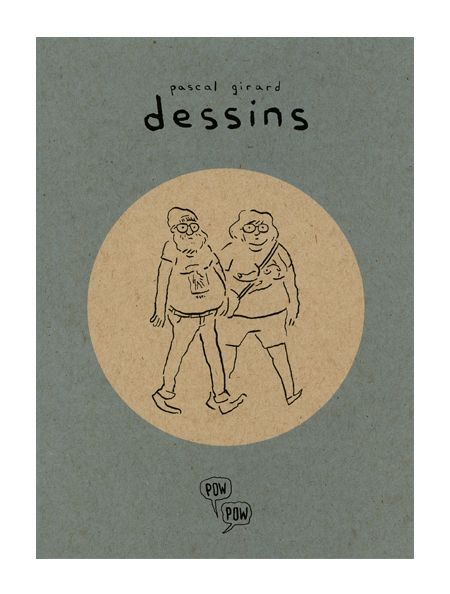 Pascal Girard has an uncanny talent to convey the narrative aspect of any given situation in a single illustration. This book collects some of the drawings he created in Montréal in 2013 and 2014. This book is everything I love about small press comics.